Thyroid disorders seem to be at the top of the list for being misdiagnosed, misunderstood and poorly managed. Symptoms associated with hypothyroidism such as fatigue, weight loss, heavy menstrual bleeding, depression and fibrocystic breast disease, are quite common unfortunately, and capable holistic health professionals have to look very closely to discover what is causing what. Is it a primary dysfunction of the thyroid that is causing these related symptoms, or is it the other way around? Toxicity and poor intestinal health often play a central role in creating the symptoms listed above. Other signs and symptoms of thyroid problems can include always feeling cold, extremely dry skin, constipation, elevated cholesterol, and the loss of the lateral one third of the eyebrow. As with many of the “disease” entities recognized in institutional medicine, it is a good idea to really treat the patient and not the disease. 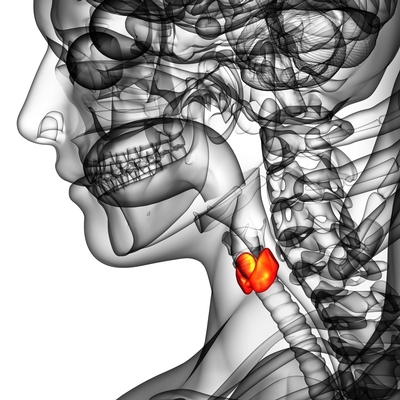 When wise choices are made in the treatment of people that happen to have their total body imbalances manifest as symptoms of thyroid dysfunction, often thyroid problems diminish, and symptoms become less problematic. With proper integrative care at Davis Holistic Chiropractic Center we see several health benefits for patients with thyroid dysfunction: sometimes their medication which is not particularly working starts to work better; sometimes medications can be reduced, and in the cases where primary dysfunction of the thyroid was not the real problem, thyroid medications may become unnecessary. With the approach Dr. Davis employs described in “Our Framework For Healing” many of the aggravating symptoms associated with medical diagnosis of thyroid problems leave.